We are pleased to announce that Rooted in the Mountains, Reaching to the World was named a 2012 "Book of the Year" by the American Journal of Nursing (AJN). Congratulations! When she wrote her autobiography, Wide Neighborhoods, in 1952, Mary Breckinridge reflected on what her beloved Frontier Nursing Service had achieved since its founding in 1925. She compared FNS to a tree, a metaphor that aptly described the service's steadfast and powerful roots in the mountains of Eastern Kentucky, as well as the plentiful yield of healthy babies delivered by the Frontier nurses. Breckinridge was equally proud of another of the Frontier Nursing Service's products: the hundreds of graduates of the Frontier Graduate School of Midwifery (later called the Frontier School of Midwifery and Family Nursing and today known as Frontier Nursing University). Through their subsequent work in the United States and around the world, Frontier alumni constitute a significant portion of the Frontier legacy. Indeed, through their care of thousands of women, babies, and families, the graduates have provided "shade and fruit" to many. 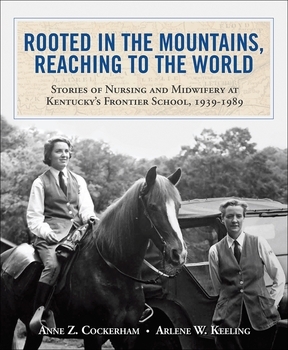 The stories and experiences of the early Frontier graduates — those who attended the School in its first 50 years — provide a fascinating glimpse into a part of nurse-midwifery history that has heretofore not been given significant attention, and therefore is the purpose of this book.